Cloud dough is a fun sensory material that’s a bit unusual compared to anything we’ve ever played with before. 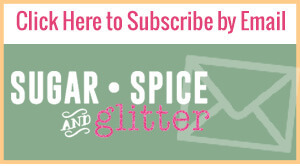 It’s soft and powdery to the touch, but you can also squeeze and compact it to make shapes. 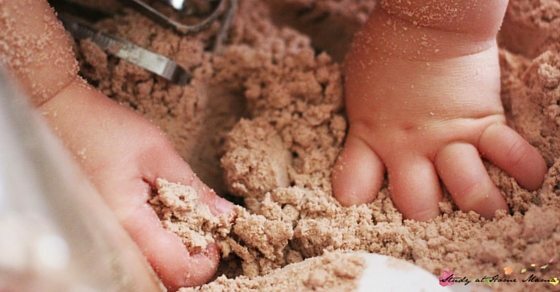 While many people use baby oil to make their cloud dough, I used vegetable oil so that I could include our youngest daycare children in our play and not have to be too concerned if they snuck a small taste! 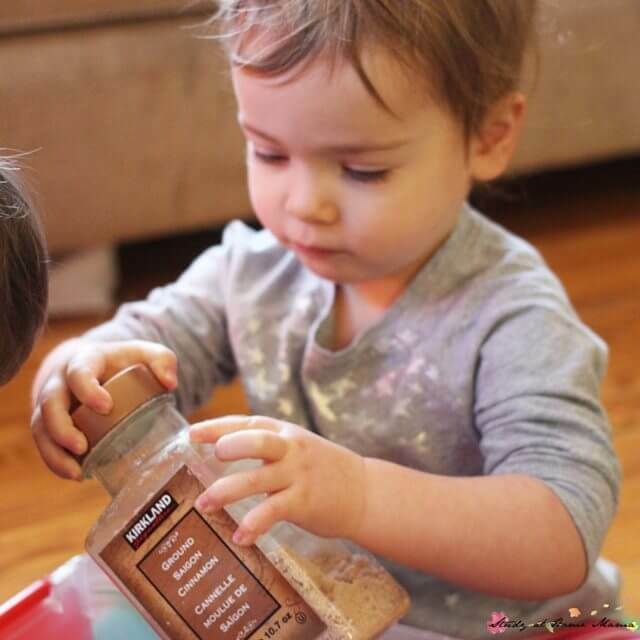 Measure out the flour and hot chocolate mix into a large container. 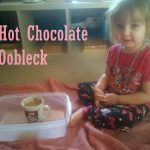 Add enough hot chocolate mix to get the colour and scent that you’d like – we added a lot because we had a giant container of hot chocolate, but less would have still sufficed. Start with adding just 1 1/2 cup of oil to the dry mixture, fully incorporate it using your hands or a wooden spoon. You want the dough to seem dry to the touch, but also stick together if you grab a handful. 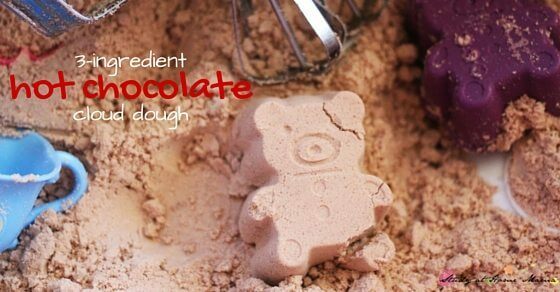 Add extra in 1/2 cup increments until you reach the desired texture. I tried to pick a diverse selection of tools so that the children would have several ways to extend their play. 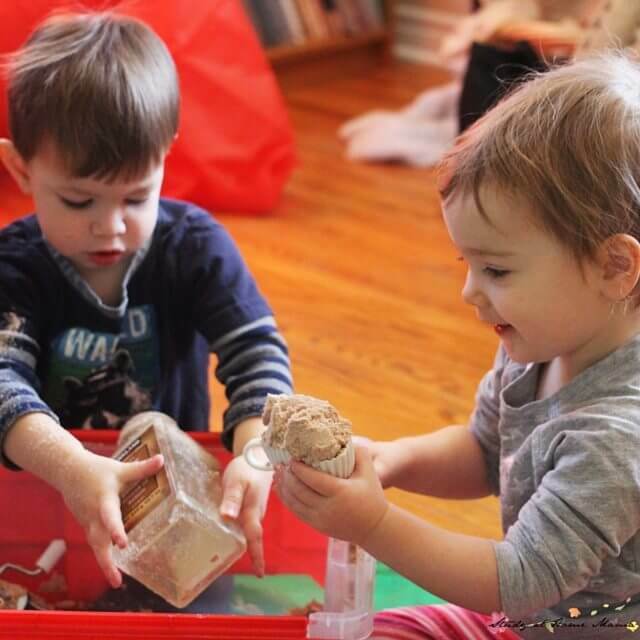 All of the tools allow the children to practice practical life skills, such as scooping, opening containers, and learning about simple machines (the manual egg beater and sifter). 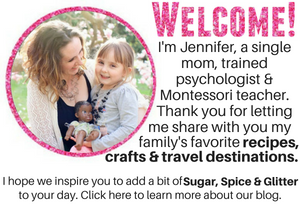 The children had so much fun squishing, patting, and swirling designs into the cloud dough, and they loved all of the add ons. Apparently, the addition of the tea cups was a good excuse to steal some sips of cloud dough! I loved watching their minds work while they figured out the tools, and their focus on things like opening the cinnamon container. 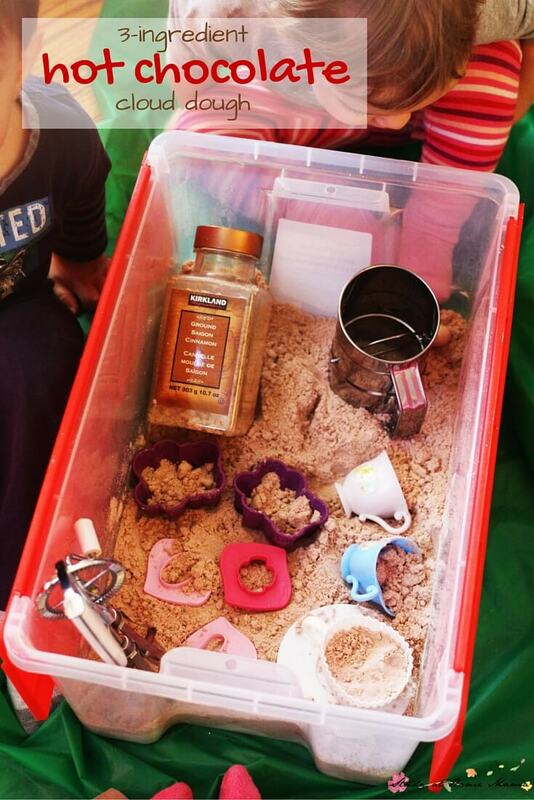 Working these small challenges into our sensory play is a wonderful way to engage children in learning, and learning new skills during sensory play has enormous benefits. 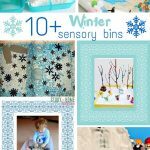 Sensory stimulation can allow children to learn skills at a deeper level than if they were to just learn the skill on it’s own. Our cloud dough has been going strong for three weeks and it’s just as engaging every time I pull out the bin! If the children got bored of the bin, I would just add new tools to it – maybe this time we’d add cotton ball marshmallows, scoops, and spatulas, or go in a completely other direction and add construction trucks and road signs. 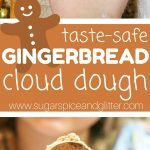 I have a friend who has been using her cloud dough bin with the same cloud dough for over 2 years – so I’m not quite sure how long our dough will last, but I will update you when I do! 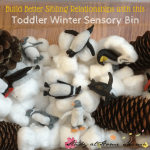 Toddler Winter Sensory Bin – and Preschool Empathy Building!